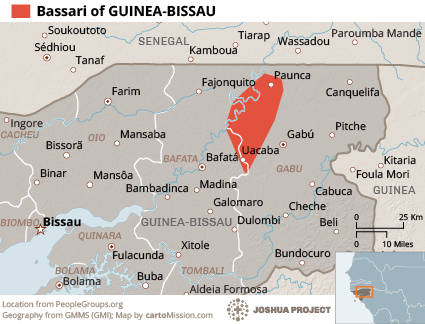 Most Bassari are concentrated on either side of the Senegal-Guinea border, with several hundred in Guinea-Bissau. The Bassari arrived in the area between the 11th and 19th centuries, establishing their settlements in the hills. These settlements provided defensible vantage points overlooking the plains below, and were made up of groups of circular thatched huts congregated around a central space. The area remains remote and many of the cultural adaptations of the people, including their agro-pastoral, social, ritual, and spiritual practices, persist to this day. The area where the Bassari live has been described as remote. Gospel recordings are available in the language of the Bassari people. Workers are needed to carry these to the people. 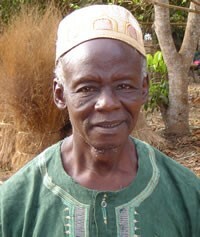 There are a number of Christian believers among the Bassari living in Senegal and Guinea. Pray some of these will be given a desire to carry the message of Christ to the Bassari of Guinea-Bissau, and help disciple the few believers already there. Pray for good crops for the Bassari, and for health care facilities to be made available. View Bassari in all countries. Location in Country: Gabu region: Piche sector. Northeast.